DO YOU WANT THE NEXT 12 MONTHS TO BE YOUR BEST YEAR EVER? ARE YOU READY TO DESIGN YOUR LIFE FOR SUCCESS IN WAYS THAT YOU NEVER IMAGINED? …Then “Living Life by Design” is for YOU!! A. “Living Life by Design is a fun, interactive and life-changing goal setting and achievement course, brought to you by Integress Solutions. It is taught on audio directly by Dale Marcouillier, the President and Founder of Integress Solutions. During the course, Dale will teach you not only how to set and achieve goals, but also how to DESIGN the next DECADE of your life! Q. What does the course include? A. The course features nearly 4 hours of comprehensive goal achievement guidance, and includes a 16-page interactive participant’s workbook. Q. What separates Living Life by Design from the sea of other goal setting courses on the market? A. 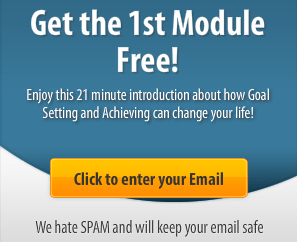 Most goal setting courses focus on just that – goal setting. Living Life by Design is designed instead to focus on goal achievement. It’s not enough to know how to set goals – we feel that a successful achievement plan includes things like understanding your Core Values, developing the habits and routines necessary for success, managing an achievement-oriented environment, and knowing how to handle the inevitable setbacks that are bound to happen. Most other goal-related courses leave all that out! Q. What topics are included? Q. Who is Dale Marcouillier exactly, and what is Integress Solutions? A. For nearly 25 years, Dale Marcouillier fashioned a successful career of inspiring and leading team members to achievement for a number of world-class organizations. You can read his full bio here. Dale formed Integress Solutions in 2011 out of a desire to share his love of success principles and personal development with others. You can read more about Integress Solutions here. A. Check out these rave reviews from others who have taken this course and are already designing their success! Q. How do I know that Living Life by Design will work for ME? A. If you commit to listen to all ten sessions and complete the workbook exercises, you WILL achieve in ways like you never knew you could! Even with that promise, we still honor our 100% guarantee – if you follow the steps outlined in the course and after 30 days you STILL don’t see a significant change in your ability to succeed, we will gladly refund the ENTIRE price of the course – no questions asked. Q. What do I lose if I wait? A. Simply – a changed life in 2014 and beyond. The more you delay implementing the principles of this course, the longer it will take you to make your dreams a reality. Don’t let the Law of Diminishing Intent claim you as it’s next victim!